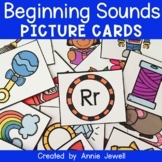 Beginning Sounds Picture Cards - Ultimate Pack of 278 5x7 Picture/Word Cards! 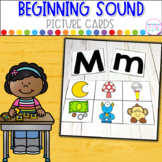 Use these beginning sounds picture cards in a small group or for a review at the beginning of the year in your first grade classroom. I've included a recording page for you to keep track of improvement. For other ideas, visit my blog - Learning is for Superstars. 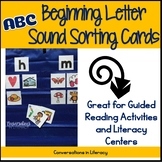 This is a great small group Literacy center. 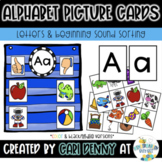 Students can use these cards with dry erase markers to write the missing letter for the beginning sound. 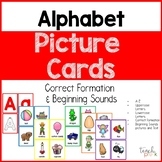 Be sure to print on cardstock for durability, cut them out, and laminate. There is an answer key as well for the students to self check. 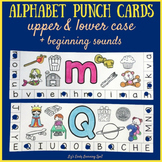 Contains 5 picture cards for each of the 26 letters. 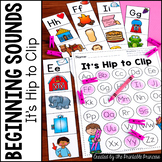 Vowel pictures all begin with the short sound. 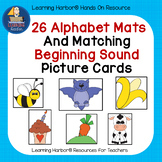 Can be used for a wide variety of activities including: *Sorting by first sound *Picture to letter matching *Write the first sound to match the picture *Etc. Please read before purchasing. 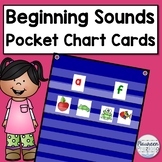 Beginning Sounds Picture Cards in Spanish for each letter of the alphabet. 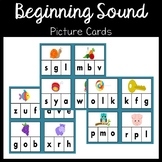 These picture cards are to be used as word sorts. 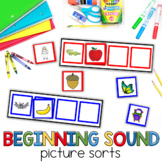 You may also want to purchase the Word Sort Maps that match the Sound Picture Cards included in my store. 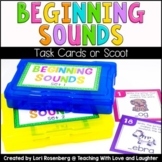 This set of 28 beginning sound cards are great for small group or intervention work. 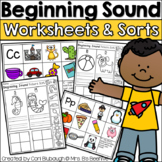 Students circle the letter that makes the beginning sounds. I'll be adding a set of ending sounds to this group soon. Keep an eye out for an update!